I see a post in our public community EVERY WEEK about which chatbot platform they should use. While it is definitely more important to understand the fundamentals of building a chatbot and their use cases, asking for the “best” software is a valid question. All your subscribers will be tied to whatever platform you choose to commit to. You cannot switch your list as easily as with email software. So this is a BIG deal than most people realize. 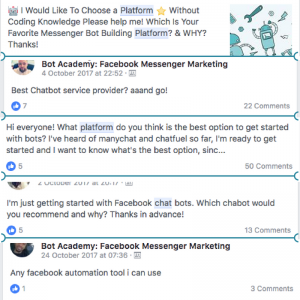 With dozens of chatbot platforms out there, which one is right for your business? Our team has tried out and experimented with several platforms. We tried to be as objective as possible through our analysis in hopes that you choose the platform for that’s a good fit for your business. Go dive in and enjoy our chatbot platform analysis! Chatbot platforms are usually focused on for specific use cases. A chat bot platform for e-commerce might not be the best for selling your consulting program. This means that it is more important to find the platform that’s the right fit for your business instead of choosing the most “popular” or “best” one. Below is a short list of things we looked for to determine each platforms’ biggest strengths. Company: The solution name and/or company name, and who founded the company. Founded: When the company was formally established, its main place of business (after how many years in development). Customers: Total number of customers, including 3-4 notable top-tier clients. USP: What the chatbot provider offers that makes it stand out from the crowd. Perfect for: What type of industry or business function the chatbot platform is designed for. Great at: What use case(s) the chatbot platform solves for, such as sales qualification or cart abandonment. Key features: Which features allow the chatbot creation software to achieve the process and results to suit your business objectives. Integrations: Which partner solutions the provider integrates that may fit your tech stack and to give you a more robust chatbot platform. Value add: How results improve versus saturated channels such as email when, for example, retargeting website visitors, pushing drip campaigns or following up on events. Pricing: Whether the solution would be considered budget ($), average ($$) or high cost ($$$) and if there is a freemium version of the chatbot creation software. Sample customer quote: Our selection of a customer quote that reflects the value of the chatbot creation software to professionals already using it. Remember when Amazon’s website only sold books, before it became “the everything store”? Or how Google was super-focused on search before it reimagined office software with G-Suite? New technologies often work best when they focus on one thing first, and the same phenomenon is happening in chatbot creation software today. Each one of the apps in our chatbot comparison below is already strong in at least one use case and each company has ambitious plans to eventually do much more. When you create your first chatbot, and some would say your 100th chatbot, think about the one thing it should be great at and then pick the software that focuses on helping companies do that one thing well. If you’re looking for a chatbot to pre-qualify sales leads, then go for sales-focused chatbot creation software. If you’re looking to solve for cart abandonment and reclaim potential revenue, check out the chatbots designed for e-commerce engagement – already saving online retailers thousands in lost sales. We feature two of them, Octane AI and Recart, in our chatbot comparison below. Among the trailblazers, there are some chatbot platforms that already offer different types of chatbot for different objectives, such as ManyChat*, and we expect more multi-bot platforms or even turnkey chatbot-centric business solutions to emerge in the coming years. Enough with the formalities. It’s time to introduce the first four phenomenal chatbot creation software solutions in Bot Academy’s Chatbot Comparison: ManyChat, Chatfuel, Octane AI and Recart. ManyChat works best if you want to make it easy for users to subscribe to your Facebook Messenger-based chatbot and automate the messages they get after they join. They have a free plan that allows you to reach an unlimited number of subscribers, but includes fewer features and promotes ManyChat to your subscribers. Their Pro plan’s pricing changes based on the number of active subscribers you have. 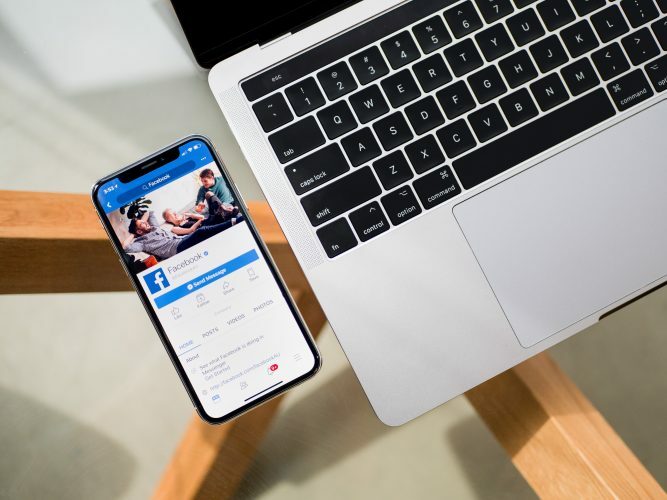 If you want to broadcast to 1,000 subscribers, you can at a fixed rate of $15 per month for an individual Facebook page. But if you want to broadcast to 15,000 subscribers with ManyChat, it will still cost you less than $100 a month! Customers: Powers over 300,000 chatbots with clients like Men’s Health. Full disclosure: We use Manychat for Bot Academy and love their software. It’s so easy to use and the team actively listens to our feedback and actually builds the features we want! We created an in-depth tutorial on how to build your first chatbot without any programming experience. Click the button below and I’ll send it over. Customers: LEGO, T-Mobile, TechCrunch, Golden State Warriors, Adidas, HTC, Visa, and many other brands as well as small and medium businesses. USP: Full-featured catalog of curated bot templates, ability to create custom FB Ads audience based on the specific segment of users in the bot, largest/most helpful online user community, industry-leading support, set of APIs providing enough flexibility for professionals combined with ease of use for beginners. 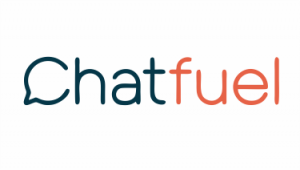 Perfect for: Chatfuel offers the flexibility to create bots for any industry and use case. Great for e-commerce, retail, media/publishers, professional services, technology, real estate, and others for both enterprise and SMBs alike. Great at: Lead generation/scoring/nurturing, marketing automation, customer service, in-messenger e-commerce, automated content delivery, etc. Key features: Catalog of “plug-and-play” bot templates, advanced user segmentation and data export to FB Ads custom audience, drag-and-drop content builder, fully-functional AI engine, analytics, native Messenger payments, drip sequences, ability to integrate any 3rd party service (NLP, analytics, customer service, CRM, etc) via JSON API, etc. Octane AI’s focus is helping stores built on the Shopify platform to recover missed sales. After raising money from General Catalyst and Boost VC, Octane tried different chatbot formats (including marketing automation and band promotion) before finding its sweet spot with e-commerce. Perhaps Octane AI’s growth journey and the $250,000-plus it generates each month for online retailers is due to being able to send a message to 90% of cart abandoners through Octane AI’s Messenger chatbots, follow up directly on Messenger post-purchase, and track and analyze revenue, as well as chatbot ROI. Company: Octane AI, founded by Matt Schlicht, Ben Parr, Leif K-Brooks. All founders have been on Forbes 30 Under 30. 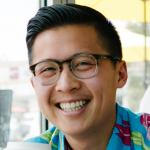 Value add: Use automated conversations to increase Shopify revenue by 7-25%. It’s always interesting to study businesses outside of the “online education” space to learn what works for them, especially from Hollywood. Bot Academy’s founder, Andrew Warner, interviewed the founder of Octane where Matt Schlicht shared how 50 Cent, KISS, and Aerosmith uses Messenger Marketing. Click the button below and I’ll send you the full interview (super entertaining). European startup, Recart, specializes in Messenger retargeting for e-commerce websites, and its no-coding solution has proven especially effective when it comes to cart abandonment. See how easy it is to communicate offers, sales receipts, shipment details and that loyalty-driving follow-up? It’s almost effortless for business and consumer alike. And if you’re in e-commerce, you’ll love the 5x engagement rates you can achieve with Recart Messenger chatbots as against traditional website banner ad retargeting. Looking for proof? Try over $75 million in recaptured sales for customers since Recart was established. Value add: Recart achieves 5x more engagement from cart abandoners through Messenger retargeting on average than typical results of website retargeting via online ads. When I wrote this post one month ago, Recart had 3488 reviews on Shopify. Now they have 4,000+ positive reviews and with good reason: it’s so legit. Click the button below and I’ll send you a link to download their app free of charge. We’d also love to know if you already have a chatbot you’re using for a novel use case, and if so, which chatbot platform did you use? Leave your answer in the comments below! We plan to update this article for everyone’s benefit and to move the chatbot revolution forward one more step. Subscribe below to get updates on this piece and our future training articles.